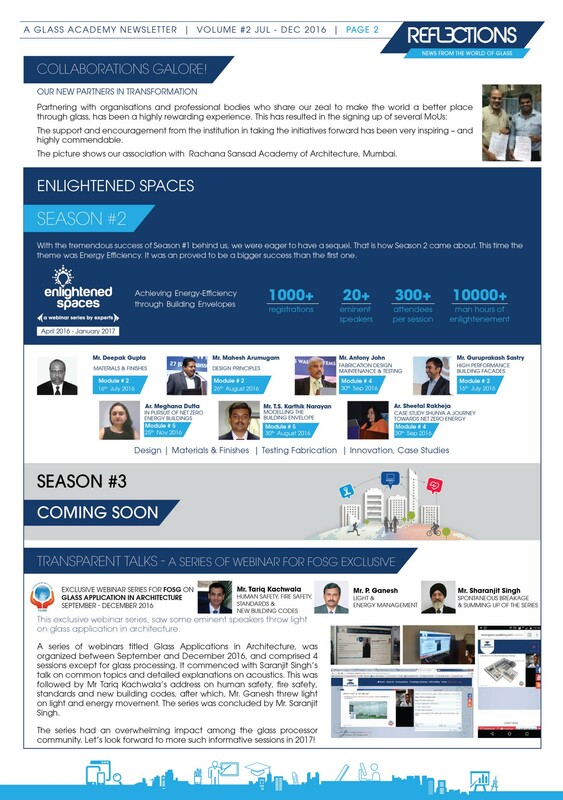 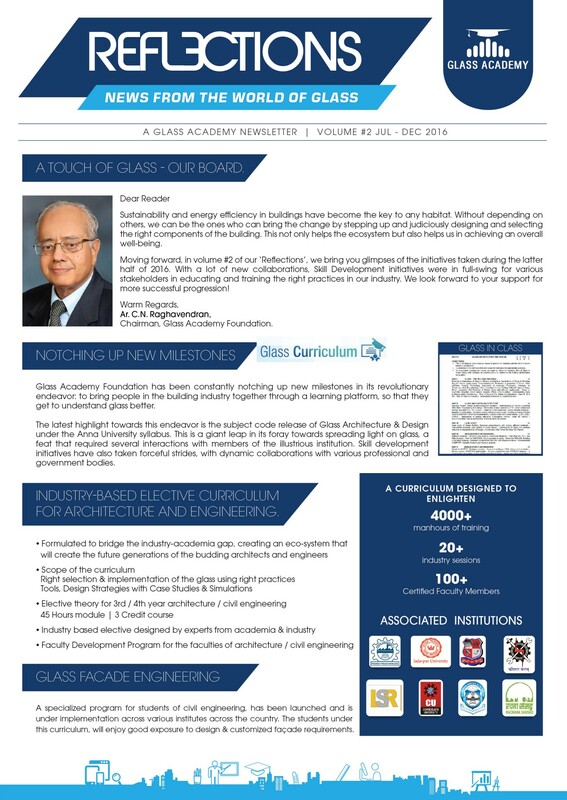 Reflections is a journal that traces back on the journey of Glass Academy and its initiatives to propogate about Glass and its benefits in the building industry. 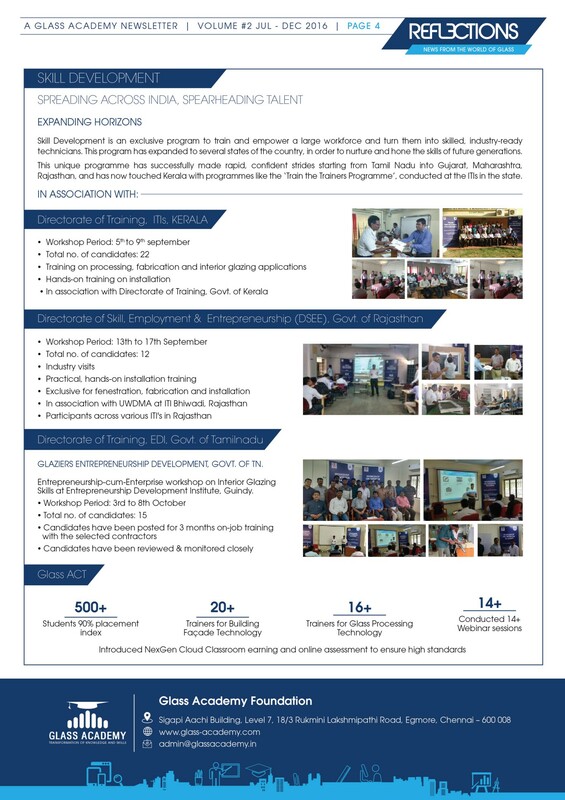 We’d like to take you along the road of our accomplishments and engage with our advancements in the future. 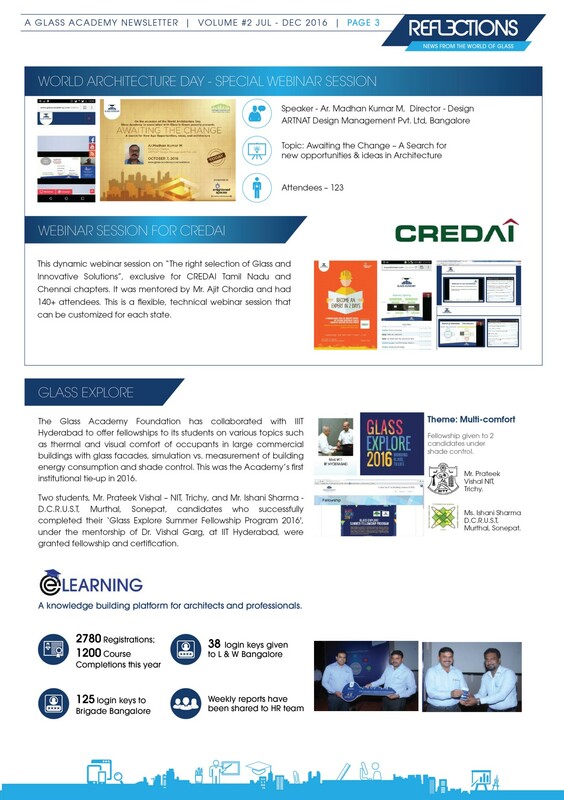 As we welcome you to join us in our growth, we wish this to be a journey for you as well.